It's a numbered polish this time, from the Dutch departmental store HEMA. 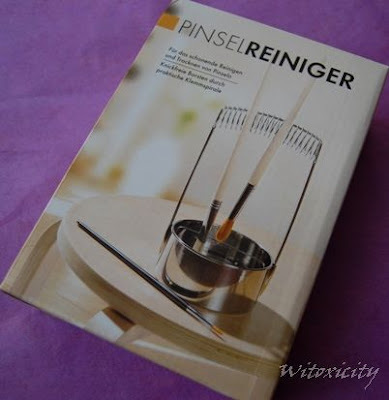 HEMA is known for its budget-friendly products and this one cost no more than a couple of euros. 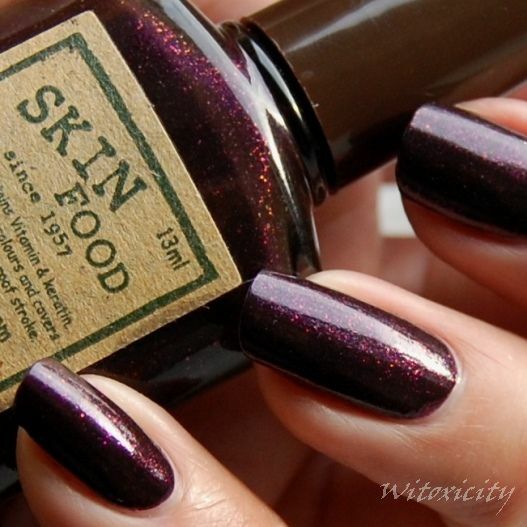 Housed in a cute little bottle of 7ml, it is another one of those soothing colours. No. 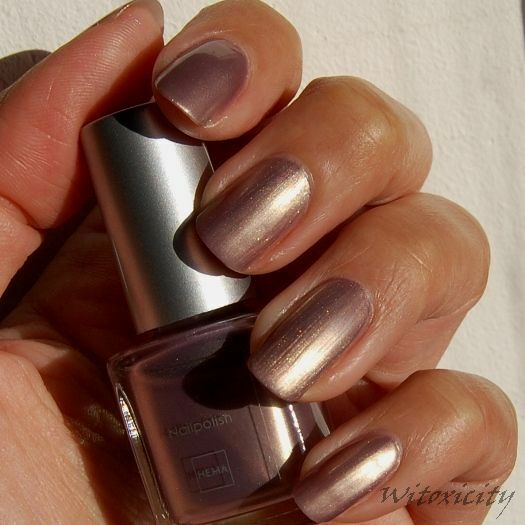 18 is what I would describe as something between metallic taupe and metallic violet. It's sheer, so I did need to use four coats. You can still see the nail line on my pinky as it was with three. Other than that, application was a breeze. No. 18 is nothing spectacular, but it's just something very easy on the eye. There's a certain charm in that. 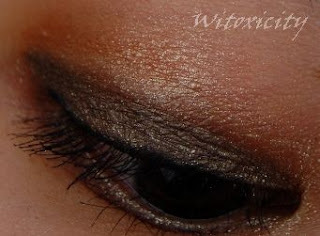 This is a neutral look that has been gently spiced up with a very thin layer of shimmer from the Light. It's something new for me, but I thought it would be worth a try. The first two pens were my own purchase. The other three were provided to me by ELLIS FAAS last year to review/try. 1. Applied with finger a modest layer of the rust orange of E207 on the area above the eyelid fold, concentrating more on the outer corner. Faded out the edges, as usual. 2. Applied the dark brown of E104 in the area under the rust orange, ie. precisely where the eyelid folds inwards. 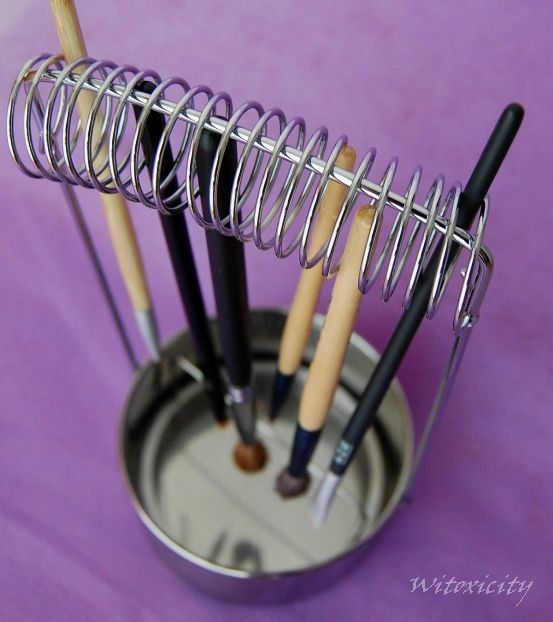 I don't often do this but I applied this directly using the brush applicator. 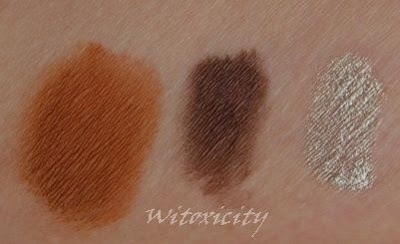 As the eyeshadow is very pigmented, I didn't need to apply a very thick layer. 3. Tightlined with the black eyeliner using an angled eyeliner brush. 4. 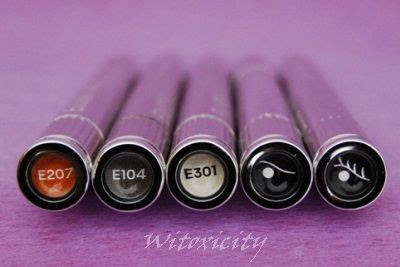 Used the dried up bits on the applicator brush of E104 to directly line the outer two-thirds of the lower lash line. 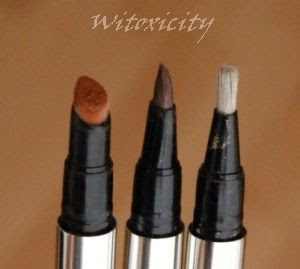 Milky Eyes (the rust orange) and Creamy Eyes (the dark brown) are waterproof. This is where I took advantage of these characteristics. 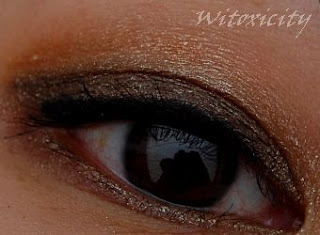 Starting from the inner corner of the eye, dabbed with finger the metallic eyeshadow of E301, bit by bit, on top of the rust orange and dark brown colours already applied. 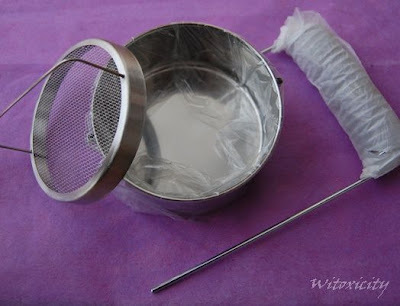 As I went along, I thinned out the layer of heavy-shimmer particles by smudging it with a damp finger. The shimmer particles spread out, but the rust orange and the dark brown stayed put. I used this method so that the thin layer of Light would look less blotchy. 6. Applied a thin line of Light E301 on the lower lash line. 7. Curled lashes and applied two coats of mascara. 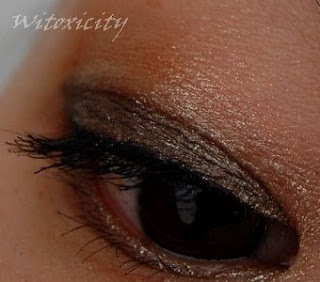 This gives the whole eye look a very subtle shimmer. I hope you like this dressed up neutral, ladies. It's really simpler than it sounds. Here's another black one. 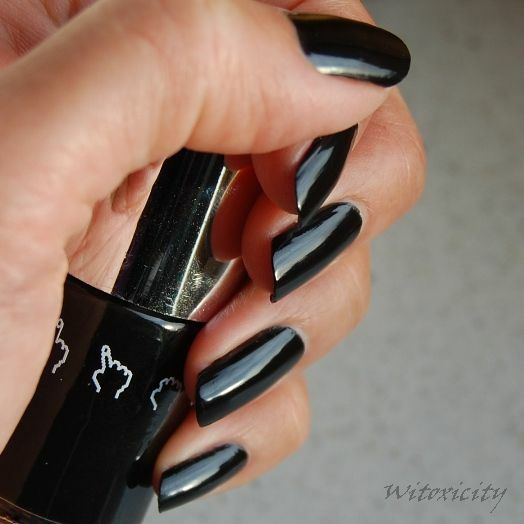 A plain unadulterated black with high gloss from Nails Inc., known for their nail polishes named after mainly places in London. I checked their website and I don't think London Nights is available through them anymore. The formula for London Nights is on the thick side, but that could be because it's an old bottle. Nevertheless, it applied fine. Two coats did the job. There is at least one more other Essence plate out there with that very same name. Go figure! It's as though Essence has a perpetual overstock of these packaging labels. I used the zebra print found on the plate on the right. 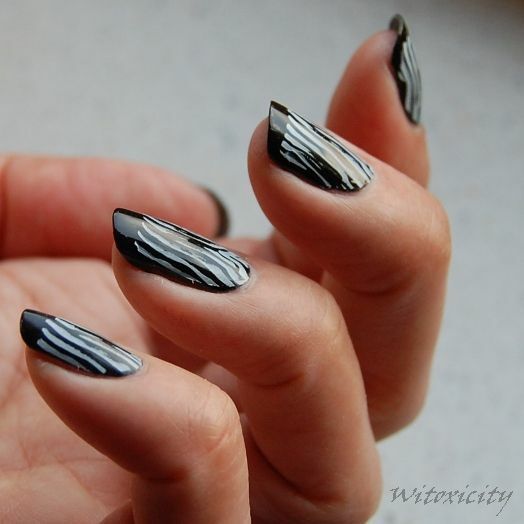 These full-nail images look fun at first, but coming back to earth, I find them too small for my nails. If my nails were short, they would probably just about fit but they still won't fill my whole thumb nails. 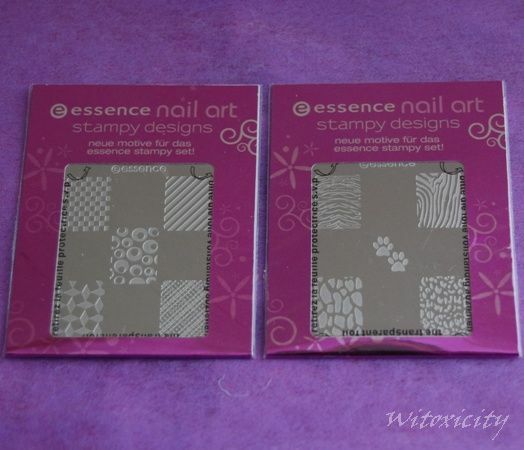 These images seem to be made for those with small nails, or perhaps for little girls (okay, true, little/young girls are Essence's primary target market anyway). 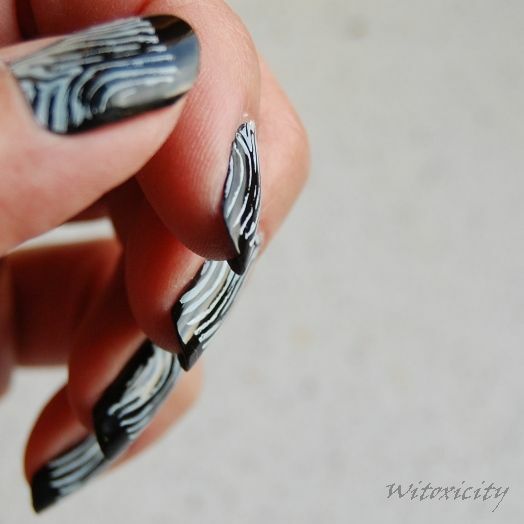 With that in mind, I chose to stamp the nail leaving the tip plain. Admittedly, my stamping here could have been better executed. Stamping purists might cringe looking at the unevenness! So, do forgive this greenhorn in full-nail stamping. 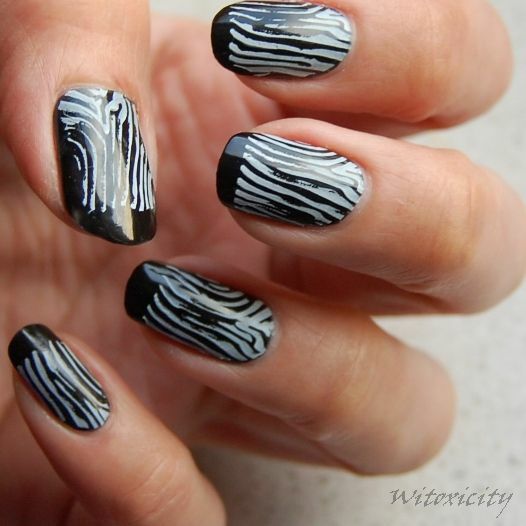 The final effect is like an inversed zebra with black french tips. Funny! 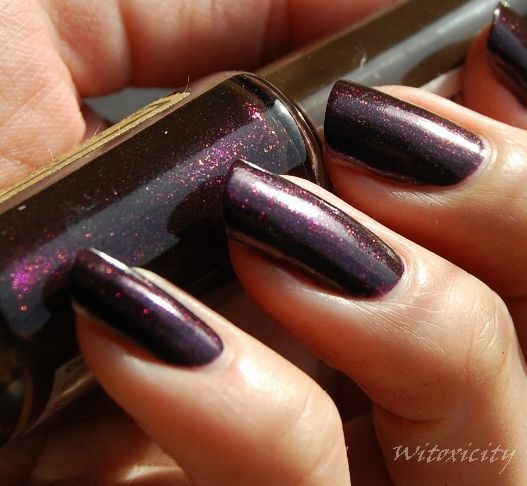 At the risk of boring you to bits, I figured I should do a quick post on Puppy Purple again, that supposedly purple polish which I claimed looked more burgundy. Well, it still does. However, we had the rare opportunity of enjoying some very strong sunshine this past week and what do you know? I saw the purple. Aubergine! One other thing. I was quite surprised by the relative hardiness of this VI407. 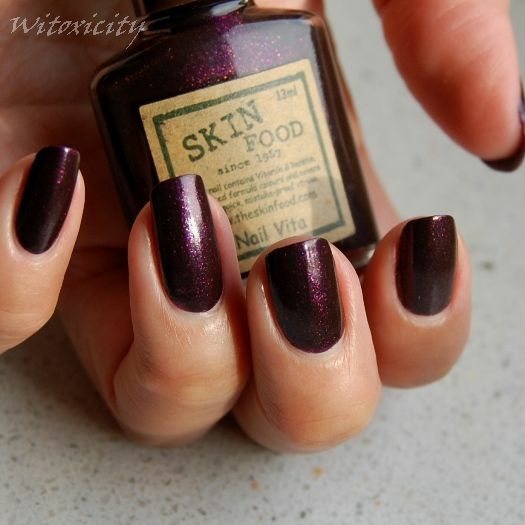 The previous Skin Food Nail Vita polish I had, VI408 Violet Stone, chipped within the first day. The following photo of VI407 Puppy Purple was taken on Day 4. The photo speaks for itself, so I shall say no more about this. I've changed my polish since then. It's coming up very soon. NOUBA loves vivid colours. But of course, why wouldn't it? The creator of NOUBA was inspired by the Nuba people of Sudan who are skillful face and body painters. So, the use of the word Rainbow in the name here certainly isn't out of sync. 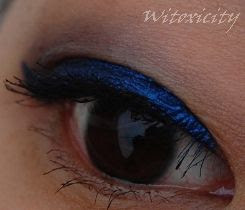 It really does offer a plethora of colours in its range of liquid eyeliners. Some are subdued (black, brown) and some of loud (super hot pink). 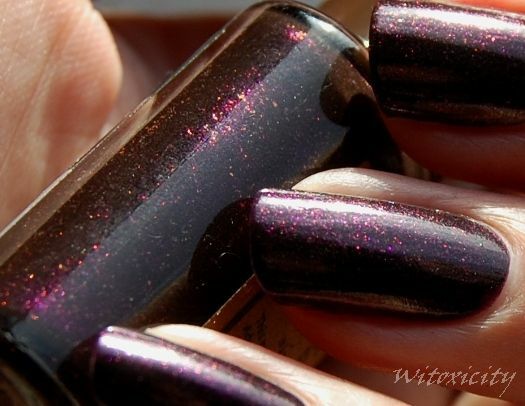 Some have shimmer/glitter and some are matte. I got one somewhere in between, a matte blue with a bit of sheen. 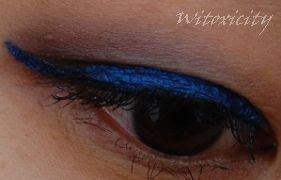 When it comes to colours on the eyes, I tend to have a thing for blue. I won't pretend that I don't know where this obsession stems from. I blame it purely on having spent too many years using coral+brown+black on my eyes (in Witoxicity-speak: my dull, pre-beauty awakening era). 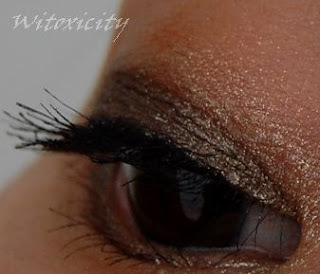 Interesting combination and incredible variety of colours that allow to characterize and personalize the make up of the eye with a special eye liner. 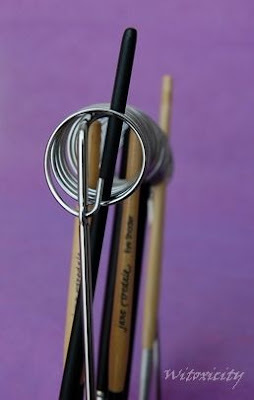 The perfect adhesion of the product, the exact softness of the brush and the great simpleness of application, make of this eye liner a product unique in its line. The eyeliner costs around €16.90 for 5ml. I'm not able to establish exactly how many colours there are in the Rainbow Eye Liner range (the stores that I've come across don't always have the full range, and there is no indication of it on the website either). The brush is quite fine, but don't expect to get a super-fine line with it. I do find that it draws on moderately thick. However, if you want to wing it, it's still possible. 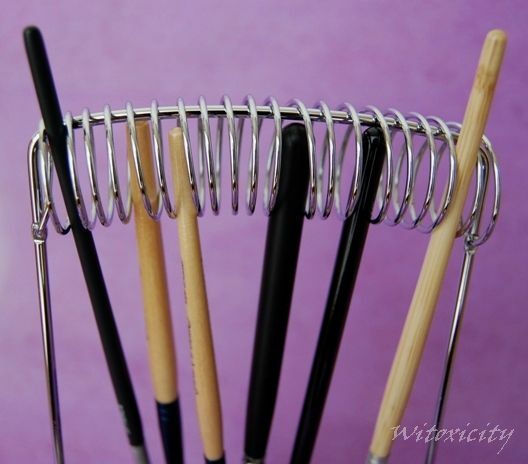 The black brush handle has a good grip. It feels rubbery (think NARS). The liquid does take a while to dry on the lid. I tend to have problems with it in the inner corner of the eye due to the way my eyelid folds (inwards). Sometimes, it smudges despite my waiting for it to dry with my eye closed (and not to mention, looking very elegant while at it). This brings me to my next point. It's not waterproof. So, it will smudge if in contact with dampness or if you have watery eyes. Under normal (dry) circumstances, it does stay put for more than half a day, in my case. At the end of the day, there is a tiny bit of flaking. 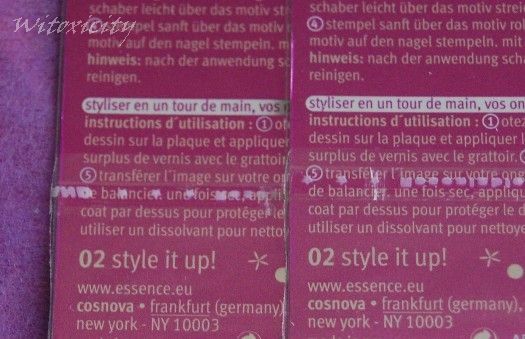 My first impression when I got the eyeliner was that the contents seemed dry, just from looking through the packaging (image: notice the crack in the contents). 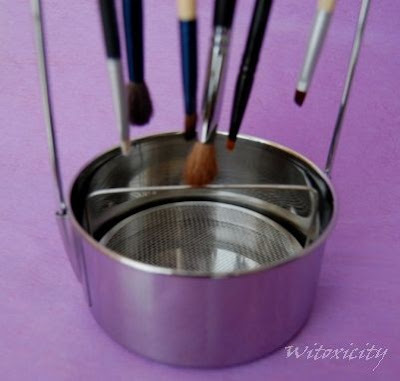 Luckily, I haven't had the experience of pulling out a dry brush so far in the last few weeks I've been using it. Something trivial: It's not obvious unless you hold the brush to your nose - it smells rather like baby powder. I do think it is pricey for an eyeliner that is not cast-iron lasting (there are less expensive colourful alternatives on the market). 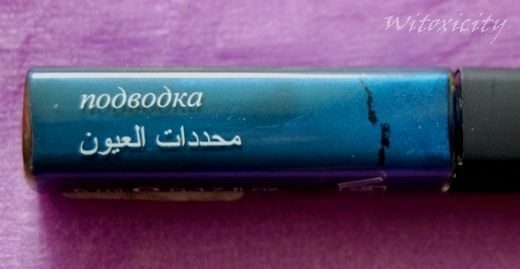 Then again, a high-end makeup brand is how NOUBA has chosen to position itself as, however justified or unjustified it is. Personally, I'm still ambivalent about the brand, after having tried its Plumping Gloss Stick lipstick and this eyeliner. That being said though, I think I will always be fascinated by the rainbow colours that so characterises this brand. 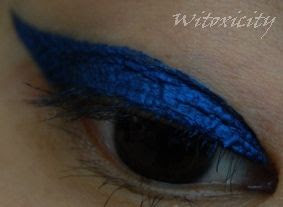 I bought this eyeliner from ICI Paris XL. NOUBA is also available in some (larger) Douglas stores. 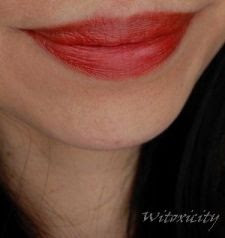 ......or at least, that's the promise from the visual impression of this lipstick. I love its rich golden coral shade. 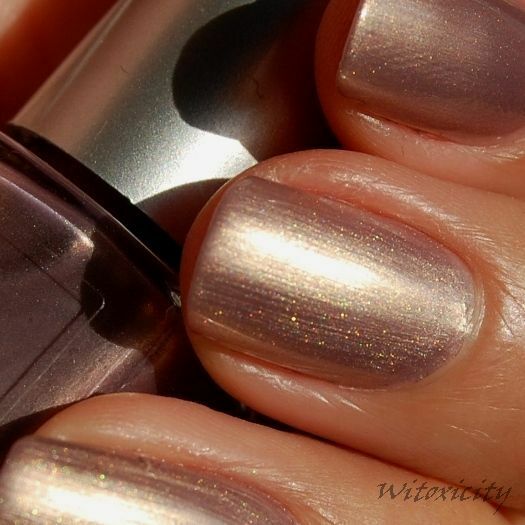 It looks metallic, quite copper-like. 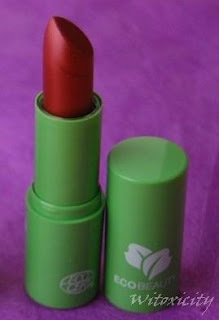 Ladies living in the Netherlands would have no doubt come across this Eco Beauty lipstick before. 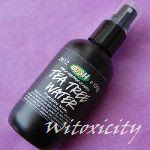 It was available at the Etos drugstores for several months last year. What I found interesting back then was the plain, basic display rack. It was a simple rack made of cardboard with an Eco Beauty sign and a few words. A long sticker was stuck to the side with information about its ingredients. 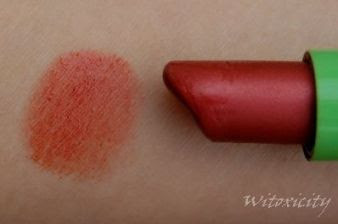 Even though this isn't a review per se, I'd just like to say a few words about this lipstick. I bought two, in shades 03 and 04. 03 didn't do it for me. The colour was just too close to my natural lip colour. 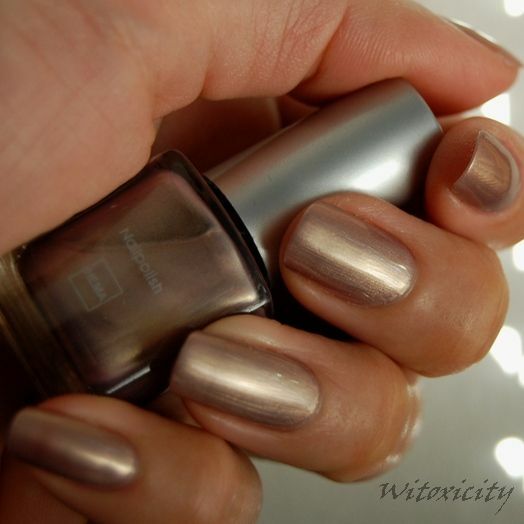 This copper one I'm featuring here is the 04 shade. I liked how smoothly it applied but I found it quite drying, thus requiring a lipbalm base. I thought it was only moderately lasting on the lips. 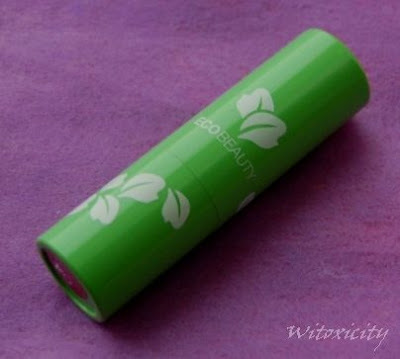 I wanted to know more about the Eco Beauty brand. There was no useful information to be found on the Etos website and very disappointingly, the Etos store staff knew little about the brand. I don't normally do this, but my last resort was to send an email to Etos Customer Service to ask for some basic information about the Eco Beauty brand - to satisfy my own curiousity and for when I wanted to write a post about the lipsticks. The reply that came back from its Customer Service at the headquarters was one bordering on the ridiculous, albeit polite. It basically said that this was a temporary promotion and that the lipsticks were available while stocks last. "So, it is difficult to be communicating about this product as we would like to avoid disappointing the customers." I did write back to express my disappointment with their empty reply, but they never got back to me again. Seriously, I wasn't asking for much. I was just a paying customer asking for some basic information about Eco Beauty. Is that too much to ask?! It wasn't like I was offering to put up a gigantic advertisement banner for them on my website! I suspect the headquarter staff didn't know anything about the brand either and would rather not have to admit it. Talk about a lack of initiative! Etos, I'd always held you in high regard, but that's not quite the case anymore. 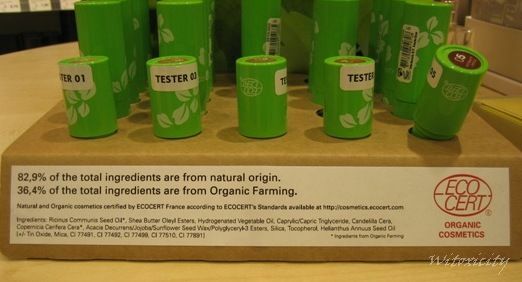 Well, I can only guess that Eco Beauty is a product of Etos itself but hey, what do I know, right? That email correspondence took place months ago. Fyi, the lipsticks stayed on the shelves for more than half a year. In the end, Etos was trying to get rid of them at 50% off. I saw hardly anyone touching them by then. I myself sure didn't! I love the coppery colour though. 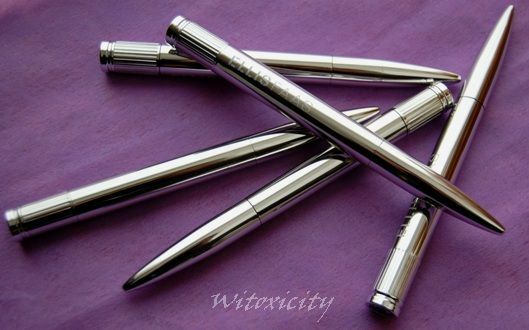 More than a year ago, I had written a bits and bobs article about the ELLIS FAAS pens. 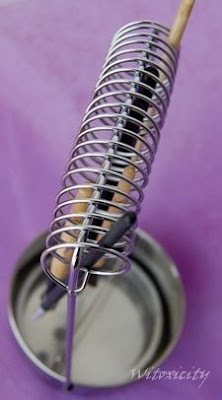 One of the things mentioned was that it would be such a waste to throw away those gorgeous pens when they are finished. Refills would be a great idea, I had said. It turns out that the folks at ELLIS FAAS have been getting many similar remarks from their customers about what a waste it is that nothing further could be done with the empty pens. Well, finally, ELLIS FAAS is taking action, but it doesn't involve refills, unfortunately. I was informed by ELLIS FAAS that this wasn't a plausible idea for hygiene reasons and due to the fact that the click-turn mechanism inside the pens turns in only one direction and cannot be reversed for refills. Instead, they've come up with a more creative idea, literally. A couple of weeks ago, ELLIS FAAS announced that they've set up a system to collect the used pens to be recycled in the name of art. 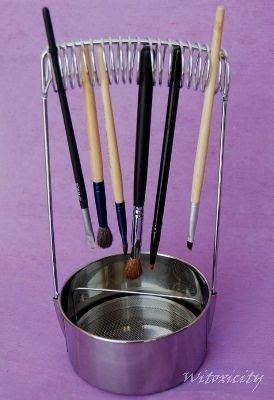 These used pens would be passed on to local and international visual artists like photographers, sculptors and designers who will create works of art with them. The unique art pieces would then be auctioned off with the proceeds going to War Child International, the organisation that works to help children in war-torn countries. Make Up Not War is the name given to this programme. 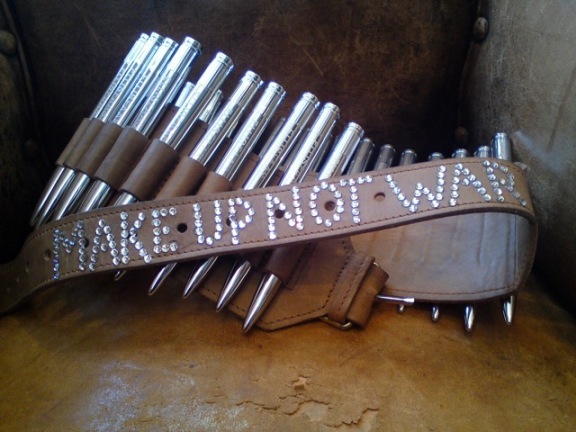 The press image for Make Up Not War depicts a leather belt holding a long row of ELLIS FAAS pens, like a bullet holster. It seems cheeky, but hey, the bullet was the inspiration that Ms Faas drew from when she first designed the sleek silver pens. If I recall correctly, Ms Faas has shown off a similar holster (minus the rhinestones) in a photo before, some time back, and declaring that she got past airport security with it! The empty pens can be brought to any of its retail points or they can be sent by post directly to ELLIS FAAS. Details can be found on the ELLIS FAAS website (check also that part about the possibility of getting a 5% discount coupon on your next order through their online shop). This is so not me, but I like variety. I thought I should take a short break from my usual dark and/or loud colours. 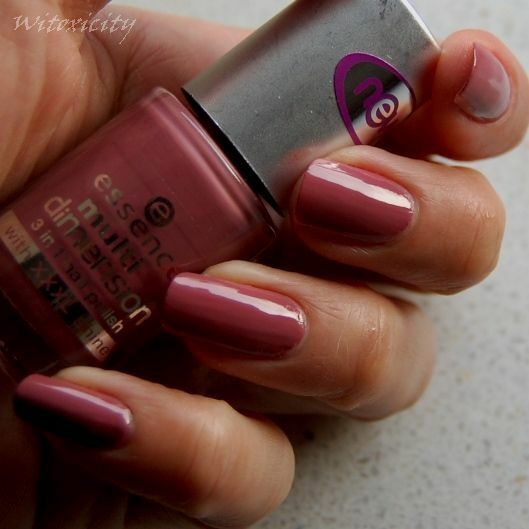 It says "New" on the bottle but really, Essence Spot On has been around for a long time. I must have had this bottle for at least half a year. 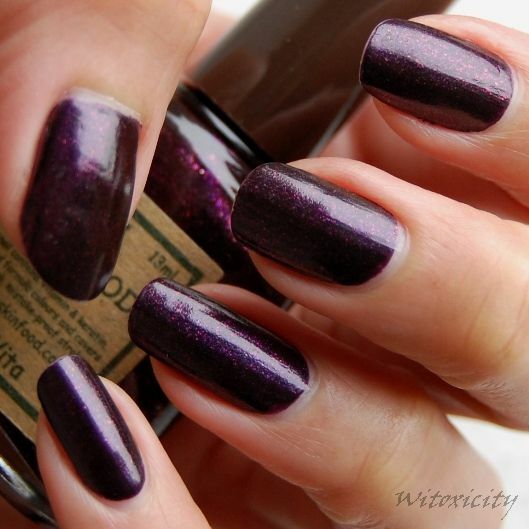 The quality of Essence polishes isn't too bad, especially those from the Multi Dimension range like this one here. They don't cost much either, just €1.59 per bottle (8ml), so I can't complain. I'm wearing two coats here. Application: Superb. Drying time: Not that fast. Durability: Average. I would describe Spot On as a crème dirty pink, a dusty rose. At times, it looks like a cross between berry and brown. Neutral and subdued, it's certainly an office-safe, meeting-safe colour. 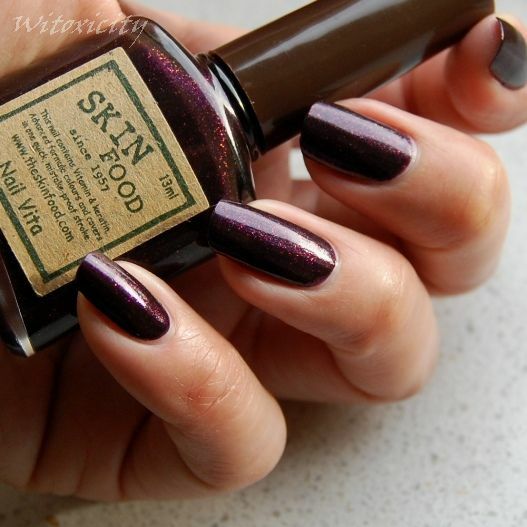 You can't go wrong with this shade.